So, with the chilly days ahead and frosty winter imminent I thought I’d share my ‘miracle’ skin product….. I suffer from Contact Dermatitis which I managed to lumber myself with during my degree by being naughty and not wearing gloves when messing with irritating chemicals! During the winter it flairs up and gives me what I call ZOMBIE FINGER….. I find this product a lot better than the Hemp Hand Protector cream, I didn’t have very positive or significant results from that. 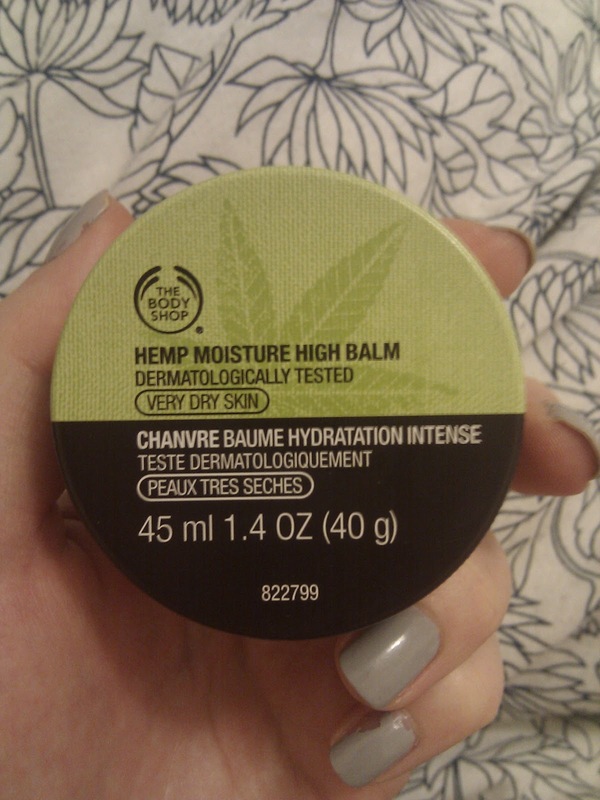 But with this balm its amazing. I think because it’s a balm it protects your skin as well as moisturises where are the cream just soaks in. This balm can be used ANYWHERE. I use it on my lips and even around my eyes when they get a bit of dry skin on them. Its such a great investment product! And lasts AGES too! Also, as a sneaky Christmas treat the Body Shop are offering 50% off the Medium Size Hemp Gift Tin if you enter the code JOY50 at the checkout! Amazing when you see the goodies inside. This code is only valid today (05/11/11) so get it whilst you can! !